Planes, not trains, and abominables. Fortnite Season 7 is due to release in little over a few hours from now, with Epic first taking the game offline to implement a patch to see in the seasonal event. The full list of new patch notes have now been published online, and highlight three new map areas. Firstly, there are a few new map areas on the Battle Royale sandbox. There’s the Iceberg, Frosty Flights, Polar Peak, and Happy Hamlet. We don’t yet know which, if any previous locations these new ones will be replacing for Fortnite Season 7. Next, there’s the big new addition of the X-4 Stormwing Plane. 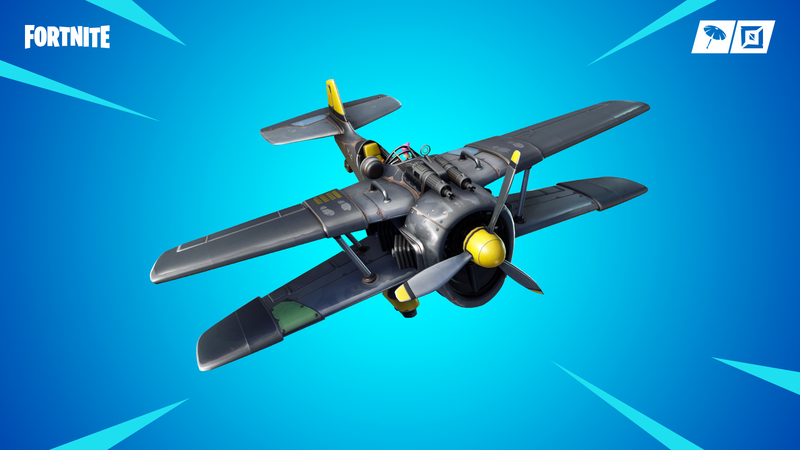 Air vehicles like this is a first for Fortnite Battle Royale, and the Stormwing can seat four passengers on the wings in addition to the pilot, and also features a mounted machine gun for aerial combat. There’s also the addition of wraps for different weapons in Battle Royale. These new wraps sort of act like weapon skins, and you can assign different wraps to all different types of weapons in Battle Royale. That’s a complete roundup of the more notable additions to Fortnite Battle Royale through the new patch 7.00. For a complete list of all new bug fixes and more, head over to the official Epic blog post. We mentioned that Fortnite Season 7 is just a matter of hours away from launching worldwide, and it should be kicking off right around 6 am ET. For a full list of confirmed details for the event, head over to our Fortnite Season 7 guide.